Are you sick of the commute to work? Or do you just want the freedom of working from home? Working from home is a dream for many of us, but in the past, opportunities for home-based work were scarce. It used to be that stuffing envelopes from home and other (mostly) scams, were all you could find if you were searching for real work at home opportunities. Thanks to the internet, this is no longer the case. According to a survey by the U.S. Department of Labor, the number of people working from home has increased from 19% in 2003 to over 24% in 2015. Over the past decade, the number of people working from home has risen by 115%! Now, there are tons of work at home opportunities available (some even offered by companies near you) across a wide range of fields. And, tons of well-known brands like Amazon, Uber, and Apple have home-based positions available. Whether it’s writing, data entry or accounting, more and more companies offer “remote worker jobs”. To save you the time and effort of scouring through websites yourself, below, we’ve put together a list of our favorite real work at home jobs! If so, then you could earn money working from home as a translator. Most companies don’t state what they pay, but according to figures from PayScale, translators earn around$19.83 per hour. The amount you get paid will differ from company to company. Check out the companies below for opportunities. Translate.com offers translation jobs. As one of the site’s translators, you translate a wide range of things, such as blog posts, social media posts, and support tickets. You get paid by the word, and payment is sent via PayPal. ABGlobal is another translation company. If you meet the company’s requirements, your name will be added to its database. Unbabel pays people who are multilingual to translate a number of languages, such as English, French, German and Simplified Chinese. At Unbabel, you get paid per hour. As you continue to work with the company, you can earn a higher rate, depending on your skills and the speed at which you translate. Payment is sent weekly via PayPal and Payoneer. One Hour Translation hires professional translators. You just need to complete your profile page, which includes details, like your language skills and availability. Then, take an exam, get your certification and start working. As you work, you get rated and can get bigger projects. Tethras is a translation app, that’s looking for mobile app translators. You essentially translate mobile apps into different languages. The site sends you notifications when new jobs become available and you can choose whether or not to accept a job. Payment is sent via PayPal. Data entry is another at home job that doesn’t require experience or qualifications – for the most part. When you work as a data entry clerk, it’s your job to input data into a spreadsheet, document or database management system. Generally, you just need a computer and an internet connection to get started. So, if you’re looking to work from home, but aren’t sure where to start, then data entry might be a good option for you. Many of the companies below don’t state how much they pay, but according to figures from Glassdoor, at home data entry clerks earn $31,153 a year. Axion Data Entry Solutions offers work at home positions. You work from home as an independent contractor. Previous data entry experience is preferred. DionData Solutions is a data management service bureau. The company is currently looking for part-time home contracted vendors. You’ll need to have computer skills and type at least 60 wpm. Sigtrack is a company that hires people to check petition signatures against voter databases to see if they match, then tag the signature with the results. How much you earn varies from job to job. Amazon Mechanical Turk, sometimes called MTurk, is an online marketplace for work. You can join the site as a worker and get paid to complete a variety of tasks, most of which involve data entry of some kind. Job boards and employment search engine sites are also great places to find data entry work. In the “Miscellaneous Work at Home Jobs” section below, you’ll find tons more companies that offer data entry jobs, among other positions. So, make sure you take a look at that section if you’re interested in data entry work. If you’re a good typist, then you might want to consider a job as a work at home transcriptionist. Transcriptionists, also called transcribers, listen to audio and then transcribe what they hear. So, you might get an audio or video file of an interview, which a client needs a transcript of. You listen to the file and then type or “transcribe” what you hear. Then, you give the transcript to the client and get paid. For some transcription positions, you will need experience or qualifications, but for some, that’s not required. However, for pretty much all transcription jobs, you need to meet a minimum typing speed. How much you’ll earn as a transcriptionist varies. 1-888-TYPE-IT-UP is one of the best transcription companies out there because it’s one of the highest paying. The website hires transcriptionists from the United States to join its team. You get paid anywhere from $36 per audio hour to $180 per audio hour. This works out at between $0.60 per audio minute and $3 per audio minute. Payment is made twice per month on the 15th and last day of the month. It’s sent via PayPal. Experience is not required, but you do need to pass a transcription test. Online transcription company SpeakWrite also hire typist contractors who are legal residents of the US or Canada. The company, which serves legal, government, law enforcement and other private sector clients pays $300 per month on average. But, it’s top monthly earners make $3000+! Average pay is .005¢- .006¢ per word transcribed. With this one, you need to pass a Federal, State and Local background check. Work at home as a transcriptionist with TranscribeMe. You transcribe segments of audio files that clients have submitted to the platform. Transcriptionists with the company earn at least $20 per audio hour, and average monthly earnings are $250. Top monthly earnings are $2,200. If you have a background in the medical or legal fields, you get paid a higher rate. Payment is sent via PayPal. Tigerfish offers flexible, work at home positions for transcriptionists. You get paid to transcribe a wide range of documents, from interviews to documentary film footage. The clips you transcribe are only short, averaging just two to four minutes long, and you can work as little or as much as you want. Tigerfish does not list it pay rate publicly. On a forum post, however, one person reports that they pay half a cent per word. Verbal Ink is a company that provides a quick transcription service that allows clients to have their content transcribed the same day or the next day. You can work with the company as a transcriptionist. Experience with Microsoft Word and email, and a foot pedal are required to work with the company. Make money transcribing content for corporate clients at Birch Creek Communications. You work as an independent contractor and can accept jobs whenever you want to. Pay ranges from $0.40 per audio minute to $1.75 per audio minute. The more accurate your work is, the more you’ll earn. Get paid to transcribe letters, medical files, phone call recordings, memos, conference calls and other audio files with Quicktate. You work as an independent contractor and can choose the hours you want to work. Compensation for general transcription is ¼ cent per word, which is the equivalent of 1 cent for every four words. It can be higher for other types of transcription. Payment is sent via PayPal. 3PlayMedia hires transcriptionists as contractors to transcribe recorded audio. You can take on as many or as few projects as you want, but you need to be able to provide a quick turnaround on transcripts. Pay is $10 to $30 per hour. How much you earn depends on your efficiency. AccuTran is a full-service transcription company, which hires contract transcribers from the US and Canada. You need to be able to work independently and meet deadlines. You get paid on the 15th of every month for work completed in the previous month. Pay varies from $0.004 per word to $0.0055 per word and $0.40 per audio minute for projects that have longer turnaround times. On the website, click on the “Apply for Work Button”, and this will bring up a box. Within this new window, click on “Prospective Contractor Information.” This gives you more information about the position and how to apply. Alice Darling Secretarial Service provides transcripts with quick turnaround times. As a transcriber for the company, you transcribe all sorts of content, ranging from audio tapes to DVDs. You have to have a typing speed of at least 75 wpm, be proficient, and deliver high-quality work. The company doesn’t always have opportunities available, but sometimes it does, so it’s definitely worth checking out. GMR Transcription is a company that offers both general and Spanish transcription/translators. You transcribe content in a variety of fields, like legal, academic, business and more. Handily enough, you can set your own schedule and take on as much or as little work as you want. No experience is necessary to work with the company either. The company states that it does not disclose pay rates until you are hired. But, it does say that the amount you earn will depend on the turnaround time, quality of the audio you’re transcribing and the number of speakers. Daily Transcription is another company that hires freelance transcriptionists in the US and Canada. When you work with this company, you transcribe content from the entertainment, corporate and legal industries, and from academic organizations. With this job, you aren’t guaranteed a specific amount of work, as you get work on an as-needed basis. According to figures from Glassdoor, transcriptionists at Daily Transcription earn $10 an hour. Terescription is a company that provides transcription services to the entertainment, legal, business and education industries. You can work with the company as an independent contractor, completing transcripts for production studios and clients from other industries. You get paid every other week by check. Ubiqus hires freelance transcriptionists. You work as a freelance contractor and transcribe audio of varying lengths and types. With this one, you do need between one and five years of relevant experience. Or, be a transcription student. You have to be a US-based native English speaker to work with the company as well. The company doesn’t state how much it pays, but it does say that you get paid per word for each transcript you submit. Transcribe audio files and Scribe will pay you. It offers home-based positions for transcribers. You transcribe short files, which are generally six minutes or less. You get paid $5 to $20 per audio hour. And, a great aspect of working with the company is that you also get a monthly bonus of $5 for every 3 hours completed. Payment is sent via PayPal, and you can withdraw your earnings at any time. Athreon has been around since 1988, so it’s a well-established transcription company. It offers jobs to experience medical and legal transcriptionists. You need to live in North America to apply and have the relevant work experience. Payment is sent weekly via PayPal, but the company doesn’t state how much it pays. As a transcriptionist at Transcribe.com, you review audio and create transcribed documents for the company’s clients. Payments are sent daily via PayPal. You get paid based on the tasks you complete – this means that pay can vary from project to project. The company states that how much you earn depends on factors, like turnaround time, the complexity of the task, and the required accuracy. Above, we’ve listed transcription companies that hire transcriptionists, but they aren’t the only place you can find this kind of work. Online, there are job boards and employment search engine websites that post open positions for transcriptionists. Another at home job is teaching English or another language. Nowadays, there are tons of online education platforms that teach people, ranging from kids to adults, how to speak a new language. And, they’re hiring people to teach these students. Classes are conducted entirely online. As a teacher, you give lessons through video, using programs like Skype. For most of the positions below, you need to have qualifications – usually a language teaching certification, like a TEFL certificate, and sometimes you have to have a degree as well. Before you apply for a position at any of the places below, make sure you read all of the requirements for being a teacher on there. VIPKID is an online education platform that teaches children aged four to 12 how to speak English. As one of the platform’s teachers, you give classes online. You need to have at least a bachelor’s degree to be a teacher on VIPKID. Pay is $14 to $18 an hour. You can also earn extra cash through incentives. Read our VIPKID review to learn more about teaching on there. LearnLight, which used to be known as I Speak U Speak, brings together language teachers and students looking to learn a language. You teach students from more than 100 countries online. You need to have a foreign language teaching qualification to work with the website. Online language school Lingoda, helps students to learn English, German, French, and Spanish. As one of the company’s teachers, you hold classes over Skype. Both private and group classes are taught. You can set your own hours, which is great. While Lingoda doesn’t specify how much it pays transcribers, it’s reported on Reddit and on Glassdoor that you get paid €8.50 per hour. EF English Live, formerly English Town, offers job opportunities to native-speaking teachers. It’s another online school offering language lessons online. You need to be available to work at least 15 hours per week and have at least a 40-hour TEFL certificate or equivalent ESL qualification. The company doesn’t state how much teachers earn. Get paid to teach English from the comfort of your own home at Open English. The company hires practicing ESL and TESOL professionals. You can schedule sessions at times that suit you since the website operates 24 hours a day. The company doesn’t state how much it pays teachers. At EnglishKey you teach English to people using live video streaming. The company offers part-time positions, but this may lead to a full-time job in three to six months. According to EnglishKey, your hourly salary is negotiable and is based on your experience. English hunt offers jobs to English teachers. There are two types of programs available – video programs and phone programs. The video programs require a Teaching Certification or a Substitute-Teaching Certification, as well as a four-year degree from an accredited institution. For the phone program, on the other hand, a teaching certificate is not required. You teach English to students from a wide range of age brackets. Classes range from 10 to 20 minutes. The website states that pay is determined on a case-by-case basis, and teachers are paid hourly. Italki brings together native language teachers, with students looking to learn a new language. More than three million students use the platform. You can create a profile on the website, and students can hire you to teach them one-on-one. Handily enough, you can schedule lessons for the times you’re available. You get to set your own prices for lessons. There are a variety of payment options available, including PayPal and Skrill. Learn more about teaching on italki with our review. People on Glassdoor report that they earn from $16 to $21 an hour as an ESL teacher at italki. Online education platform iTutorGroup is another company that offers work at home jobs for English teachers. The company operates several award-winning education platforms, like TutorABC and tutorJr. To work as one of the company’s English teachers, you need to have a TESOL/TEFL Certification or be willing to obtain one. You also need to have a Bachelor’s degree or higher and at least one year of teaching experience. According to figures from Glassdoor, teachers at iTutorGroup earn around $7 to $12 per hour. Earn money teaching a language to students at Verbalplanet. You teach students online through Skype. Each session lasts around 45 minutes. Ideally, you can set your own hours and rates. Payment is sent via PayPal. Teach English to students online at Cambly. What’s great about this site is that no experience is required. You get paid $0.17 per minute, which works out at $10.20 an hour. Payment is sent via PayPal. Rosetta Stone sometimes hires native speakers to tutor students online. You teach language classes to students ranging from beginners to advanced level. Aside from online education companies, another great resource for finding online English teaching jobs is on ESL job boards. These job boards are dedicated to English teaching jobs. On there, you’ll find a slew of frequently updated job postings. Many are location-based, but there are plenty of work at home opportunities on there too. For some of them, you can just browse openings and then apply to the ones that interest you. For others, you’ll need to upload a copy of your resume first. You can also find jobs for language teachers on generic job boards and on employment search engine platforms. Sure, a lot of the positions are location-based, but there are also work at home positions posted on there too. Writing is another job that you can do from home. A lot of companies, websites and blogs need content and hire writers on a freelance basis to create it for them. The pay for writers can vary dramatically, from just a few dollars an article to a few hundred dollars per article. If you can construct a good sentence, know the difference between “their” and “they’re”, and can get your point across clearly in written form, then getting paid to write articles can be a great way to make a living. Check out the platforms below. If you’re just starting out as a writer, and you don’t yet have any experience, then you might want to check out Textbroker. On this platform, clients submit orders for articles. Usually, the order will contain a keyword and a few instructions regarding what the article should be about. Clients can also order articles directly from you as well. The pay starts out pretty low, at just $0.007 per word, but this increases based on your star rating. So, there’s the opportunity to earn a better rate. As your star rating gets higher you earn more – you can earn up to $0.05 per word. LoveToKnow is a website that features articles on a variety of topics, from beauty to travel. Currently, the website has a position open for Expert Topic Writers. Expert Topic Writers create and update content on a variety of topics. You get approved to write content on topics that suit your expertize. You need to have at least one year of professional writing experience. Pay is $25 to $60 per article. One of the best places to find job opportunities is on writing job boards. Generic job boards and employment search engine websites also post openings for at home writing positions. The above places are great resources for writing jobs that offer consistent work. But, there are also websites and blogs out there that pay for articles. You can submit an article or article idea and if the website likes it and thinks it’s a good fit for their platform, they’ll accept it and pay you. This isn’t a writing job opportunity that pays you consistently for a certain number of articles or hours worked, like the opportunities you’ll find with the places we mentioned above. Instead, you get paid a one-off sum in exchange for each submission. So it’s not a consistent writing job. It is, however, a good way to top up your earnings. And, since there are plenty of websites out there that pay for articles, you could submit to several each month and make a good income from it. Transitions Abroad – Earn $150 per post. Articles must be travel-related. A Fine Parent – Earn $75 per post. Articles focus on parenting. Cracked – Humor website cracked pays $50 to $200 per post. We actually have a post that includes more than 100 websites and blogs that pay you. So, take a look at that article here for more opportunities. If you’re personable, then you might want to consider a job in customer support. Often, you don’t need to have any qualifications, or even experience, to get a job in this field. And, there are tons of at home customer support jobs available. Usually, these jobs involve helping to answer inquiries a customer might have, solving problems, or providing tech support. There are companies ranging from major global brands to small businesses who need customer service agents. Check out the following opportunities. Major hotel brand Hilton Hotels & Resorts offers work at home positions. You work for Hilton Reservations & Customer Care Team. To qualify for the position, you need to have excellent communication skills, demonstrate positivity and patience and have an excellent customer service mentality. The brand doesn’t always have openings available, but it’s still worth checking out. Apple is one of the biggest tech brands in the world, and it offers a range of at-home jobs. It has positions open for At Home Advisors, who provide customer support. For some of these positions, you also need to be able to speak a language besides English, such as Mandarin or Spanish. Apple does not specify how much it pays. However, according to figures from Glassdoor, Apple At Home Advisors earn $10 to $23 an hour. American Express offers a wide range of virtual jobs. Often, it has openings available for Virtual Customer Care Professionals. There aren’t always positions available for the American Express Customer Care Team, but sometimes there are, so it’s definitely work checking. TeleTech has an opening for an At Home Customer Service Representative. This position pays $8.50 an hour. Convergys hires customer service agents to work from home. You help customers over the phone, but from your own home rather than from a call center. According to figures from Glassdoor, the average pay for this position is $9 to $13 an hour, averaging $11 per hour. Uber offers work at home customer service jobs. There aren’t always positions available, but the company does have openings occasionally. Another company to check out for at home customer service jobs is Sutherland Global Services. With the company, you provide customer support via phone or email. Sutherland Global Services has a number of customer support positions available. Many of the positions it offers are location-based, but there are sometimes remote jobs available too. The company doesn’t specify how much it pays. Sometimes best buy has remote jobs available on its Geek Squad team. You help customers with tech products. VIPdesk Connect offers customer service through U.S. home-based customer support agents – which it calls Brand Ambassadors. You can join the company’s team as one of these Brand Ambassadors and offer customer support through a number of channels, such as phone, email, and social media. LiveOps hires independent contractors to work as customer service agents. It has a wide range of positions available. Currently, it’s looking for customer service representatives to help callers with product support questions about tax software. SiteStaff has openings for Chat Hosts. As one of the company’s chat hosts you talk to customers and answer any questions they may have. The company doesn’t state how much it pays. LiveSalesStaff often has openings for customer service agents. Just contact the company to learn more. The Chat Shop hires live chat agents to provide customer support. You need to be able to work 35 to 40 hours per week. Companies, bloggers, website owners, and other organizations and individuals hire virtual assistants to help them with a variety of tasks. Nowadays, a lot of people hire virtual assistants, rather than in-person assistants. Being a virtual assistant is an incredibly varied role. You assist with a variety of tasks, like writing emails, making phone calls and scheduling appointments. Zirtual brings together clients looking to hire virtual assistants. As a virtual assistant at Zirtual, you’re responsible for completing a wide range of tasks, from scheduling appointments to general admin tasks. The company doesn’t always have positions available, but occasionally it does. According to figures from Glassdoor, virtual assistants at Zirtual earn $11 to $14 an hour. This company helps entrepreneurs, coaches, business owners and a variety of other clients to find virtual assistants. As a virtual assistant at Contemporary VA, you assist with a range of tasks, from organizing calendars to planning webinars. According to figures from Glassdoor, virtual assistants at Contemporary VA earn around $10 an hour. This company offers US-based virtual assistant services to a range of clients. As one of the site’s virtual assistants, you handle a wide range of tasks, from scheduling appointments to internet research. 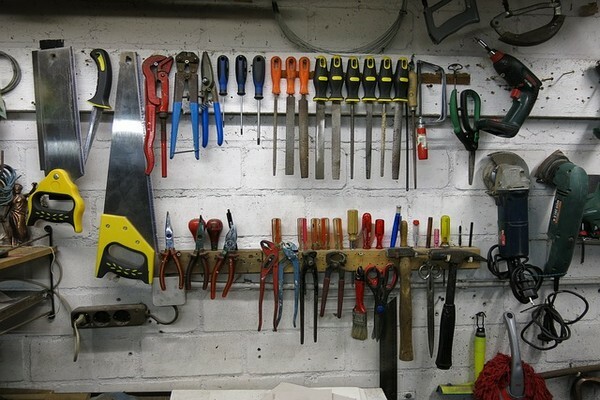 Unlike other companies in this section, Fancy Hands does not pay you per hour. Instead, you get paid per task. When you first start working with the company, you earn between $3 and $7 for each task that you complete. As, you continue to work with the company, your pay increases. Belay Solutions offers virtual assistants jobs working with senior-level management clients. As an assistant with the company, you’re responsible for a range of tasks, from social media management to event planning. According to figures from Glassdoor, the company’s virtual assistants earn $5 to $19 an hour. This company matches clients with virtual assistants. The company pays its virtual assistants $10 to $12 an hour on average. Most positions are part-time, ranging from 20 to 120 hours per month. This company is looking for US-based virtual assistants to work with its clients. Pay starts at $9 an hour. Equivity is another company that provides virtual assistant services. It offers a range of positions, like Virtual Executive Assistant. Virtual Executive Assistants earn $15 an hour. Time Etc. pairs clients with virtual assistants. As a virtual assistant with the company, you handle a wide range of tasks, like making travel arrangements and offering general admin support. According to figures from Glassdoor, assistants at Time Etc. make $11 an hour. Worldwide 101 is a company that provides virtual assistant services to businesses. It pays its virtual team between $18 and $20 an hour. How much you earn depends on your skills, experience, and position. Paragon Planners provides scheduling and appointment setting services to clients. It offers virtual assistant jobs. And, you can work up to 35 hours a week. Pay isn’t specified. There are tons of job boards dedicated to virtual assistant jobs, and also generic job sites that feature opportunities as well. Take a look at the following websites to find even more assistant jobs. Online, there are tons of tutoring platforms, which provide online tutoring services to students. And, these online tutoring companies hire at-home workers to tutor students on a variety of subjects, from math to music. For many of these positions, you do need to have a degree, and for some, you also need to have experience in teaching. Many of these tutoring platforms don’t state how much they pay. According to PayScale, online tutors earn $17.58 per hour. How much you’ll earn will vary from company to company. Aim-for-A Tutoring is a company that offers online and in-person tutoring sessions. This tutoring company is looking for tutors to provide online tutoring services to students worldwide. Classes are conducted on Skype. You can teach Elementary, Middle, High School, and College Level, as well as general interest topics. Another tutoring company that offers at-home jobs is Homework Tutoring. The company is looking for online tutors to teach a variety of topics. Chegg Tutors is a company that brings together students and tutors. You teach students of all levels, including Middle and High School, College, and Professionals. According to Chegg Tutors, its top tutors earn $1,000+ per month. Pay starts at $20 an hour. Another tutoring company that hires online tutors is TutaPoint.com. As a tutor on the platform, you provide online, one-on-one tutoring services in high school level courses. Tutor.com states that its tutors are teachers, professors, adjuncts, PhD students and industry professionals. As one of the site’s tutors, you teach all levels, from kindergarten through college to adult learners. TutorVista.com is a website that offers online tutoring. You can earn money as one of the website’s tutors. With this one, you have to work at least four hours per day. Smarthinking offers online tutoring to students of all ages. If you have a degree, then you could earn money working at home as one of the company’s online tutors. Kaplan provides online tutoring services to college level students. Often, it has at-home teaching positions available – mostly adjunct faculty positions in a variety of different subjects. Visit the website to view open, remote positions. Educational preparation company Manhattan Prep will pay you to tutor students. The company provides online courses and private tutoring. As one of its tutors, you provide test prep tutoring. What’s great about Manhattan Prep is that it pays really well. You can earn $106 to $116 per hour! And, the company offers end of year bonuses too. You can set your own schedule and teach as few as three hours a week if you want to. If you hold at least a bachelor’s degree and have previous teaching experience, then you might want to consider working for a college or university. Since many universities now offer classes to students online, they require teachers to teach these classes. Most of these jobs are part-time or adjunct faculty positions. This is a good way to make money and build up your resume as a college/university level teacher. Make sure that you check each university’s requirements before applying for a position since the level of education and/or experience required differs from university to university. The University of Maryland is a regionally accredited university. It offers master’s degrees, bachelor’s degrees and certificates. Often, it has openings for online adjunct/part-time faculty members. How much you earn is not specified. Capella University offers courses to students online. And, it requires teachers to teach these classes. It often has openings for online adjunct faculty members and instructors. South University offers a range of courses and degrees to students. The university’s programs are taught both online and offline and tend to be focused on health and business subjects. The university hires online faculty members. You teach students in an online classroom. For this one, you do need to have a master’s degree and previous teaching experience. South University doesn’t state how much it pays. Ashworth College offers online teaching and instructor jobs. This university offers associate, bachelor’s and master’s degrees, as well as career courses and certificate programs. To teach degree programs, you need to have at least a bachelor’s degree in the field you plan to teach. Western Governors University offers online bachelor’s and master’s degree programs. You can work as one of the university’s online course mentors and teach students. The University of Phoenix offers both campus and online degree programs. This means that it sometimes has online teaching positions available. Walden University is another university that offers work at home positions. Aside from the fields we mentioned above, like customer service and data entry, there are plenty of other fields that allow you to work from home. Below, we’ve listed companies that offer a range of different at-home positions, as well as places that offer at-home jobs outside of the fields we mentioned above. It applies to all Federal Executive agency employees. If you’re such an employee and would like to work from home, visit Telework.gov for more information. The employee FAQ section is particularly useful. Business to Business appointment setting and lead generation provider SalesRoads offers a work at home positions. It offers appointment setting, lead generation, and sales positions. Hours are flexible, and you get paid hourly. ARO offers call center and business processing services. It offers a number of work at home positions in a wide range of fields. Current openings include Part-time Virtual Customer Service Representative and Enrollment Specialist. Popular moving company U-Haul sometimes posts work at home positions in a variety of fields. Check out what’s on offer. AccountingDepartment.com now owns Balance Your Books, a service that offers dedicated bookkeeping services. Currently, it has positions available for full-time employees. Current positions include Virtual Controller, CPA, and Virtual Full Charge Bookkeeper. Leapforce hires at home independent agents to rate the quality of the searches they perform on Google. Leapforce doesn’t specify pay, but according to reports online, the pay is $11.50 an hour. TeleReach is a company provides a multitude of services, like information gathering, appointment setting, lead generation, business development. It hires work at home individuals who are looking to telecommute. There are both part time and full-time positions available. You can earn $12 to $28 an hour. Here’s a legit Amazon work at home job where you can work for one of the biggest companies on the planet through a wide range of different positions, from Technical Trainer to Market Manager. Computer vendor Dell is another big company that hires work at home employees. There’s wide selection of roles to choose from, such as Account Executive, Pre Sales System Engineer, and Data Center Sales Executive. Pharmacy chain CVS sometimes has openings available for remote positions. Software company Appen offers a wide range of work at home positions. There’s a huge range of jobs available in a variety of fields, like project management, data collection, and proofreading. Healthcare company Aetna sometimes has at home job openings, in a wide range of fields, like marketing, customer service, and management. Lenovo sometimes features openings for remote positions on its website and also on Flexjobs. There are a wide range of positions available, from Retail Account Executive to Global Account Manager. Global banking and financial services company Wells Fargo sometimes has openings for telecommuting positions. Previous at home positions have included Information Security Manager, Project Manager, and Business Systems Consultant. Sometimes the positions are posted on the company’s website, but you can also find many on Flexjobs. Xerox is another company that offers a range of at-home jobs, in a variety of fields, like customer care, tech support, and software programming. Computer software company Adobe sometimes offers telecommuting positions. Previous positions have included Project Manager and Account Executive. Check out the official website or Flexjobs for openings. The U.S. Department of Transportation sometimes offers remote jobs. Previous openings have included Supervisory Economist and IT Specialist. Check out open positions on the website, or visit Flexjobs, as work at home positions are often listed on there. Information and data measurement company Nielsen also offers work at home jobs. Past openings have included Sales Representative and Field Interviewer. Visit Flexjobs to view more open positions, or take a look at the official site. Health insurance company Humana offers at home jobs in a variety of fields, from marketing to administration. Salesforce, which provides customer relationship management software, offers remote work opportunities. There’s a wide range of jobs available, like Senior Marketing Specialist and Account Executive. Human resources management software service provider ADP often has at-home job opportunities available. Capital typing hires at-home workers in a variety of positions, like data entry, transcription, and customer support. Check out this page and this one to learn more about job opportunities. Fiverr is an online marketplace where you can sell services such as writing, proofreading, video-making, narration and more for $5. Check out our post on the most profitable Fiverr gigs. If you’re looking for medical coding work, then check out The Coding Network. It offers at home positions. You need at least three years of experience to apply for a coder position. Lionbridge is looking for people to join its Smart Crowd team. You work on a variety of tasks, like data research, language, testing and data entry. You get paid per task and payment is sent once a month. At ClickNwork there are a wide range of jobs available for writers, editors, analysts, web specialists, data entry clerks and more. You can view all of the positions available from ClickNwork on the website. Brighten Communications is a B2B telemarketing company. You can earn up to $18 an hour working at home with the company. You need to make calls on behalf of clients. Rev has freelance positions open for transcriptionists, captioners, and translators. Health Insurance company Anthem, Inc. offers a wide variety of remote jobs. Check out the page we linked to above to see what’s available. Currently, there are a wide range of openings for positions like Business Analyst, Project Director, and Care Consultant Senior. World Travel Holdings is a cruise agency and travel company that owns various travel brands. It has a wide range of work at home positions available across various fields, like Accounting/Finance, Human Resources and Management. Support.com, Inc. provides cloud-based software and services to clients. And, it has openings for a variety of remote jobs, like Data Engineer, Web Front End Developer and Remote Services Technician. LiveWorld is another company that provides multiple work at home jobs. Just visit the brand’s “About Us” page, and scroll down to the “Careers at LiveWorld” section to view available positions. Currently, there’s a wide range of jobs available, such as Full Stack Software Engineer and Direct Product Management. Red Hat is a software company. 25% of its workers work remotely. There are a wide range of work at home jobs available, like Software Engineering Manager and Associate Manager. BCD Travel is a provider of global corporate travel management. It’s another company that offers remote jobs in a wide range of fields. Thermo Fisher Scientific is a biotechnology product development company. It has a range of at-home jobs available. McKesson is a company that distributes medical supplies, bandages, syringes, vials of flu vaccine, and pharmaceutical drugs. It offers a number of at-home positions. Just browse the job page to view current openings, or enter the term “remote” into the keyword field to filter the results. Hayes & Company is a research and analysis agency. It often features work at home jobs on its careers page, but you can also find openings for remote positions on Flexjobs. Educational and trade publisher Houghton Mifflin Harcourt has a number of at home positions available. There’s a variety of remote jobs on offer, from Account Executive to Content Specialist. Infor is a software company that has openings for remote jobs. There’s a wide range of positions available. Just click on “view current openings” to view available jobs and then enter the term “remote” into the keyword field to filter the results. Another company that provides home-based jobs is Altegra Health. Just visit the job page, and enter the word “remote” into the keyword field. Above, we’ve outlined tons of places that offer work at home jobs. But, there is another way that you can earn cash from home – using get paid to sites! Get paid to (GPT) websites reward you with cash via PayPal or gift cards for doing simple tasks – hence the name! Basically, you complete tasks, like participating in surveys or watching videos, and these sites reward you with credit, usually in the form of points that can be redeemed for cash and gift cards. Sure, this isn’t a work at home job in the traditional sense, but it’s still a way to earn money from home. And, you can do it during your downtime. Swagbucks is probably the most famous get paid to site. It gives you so many options for earning points, like shopping, searching the web, watching videos, taking surveys and more. Points can be redeemed for gift cards for places like Amazon and Walmart, or cold hard cash through PayPal. Play games, complete offers, and take surveys and SquishyCash will give you cash via PayPal or check. You can also get gift cards for places like Best Buy, Starbucks, Target, and CVS. Plus, you get $3 just for signing up. Get cash via PayPal or gift cards for places like Amazon and Walmart at GrabPoints. Just do simple tasks, like downloading apps and completing offers. The site gives you $5 just for joining too! Shop online, watch videos, browse websites, take surveys and complete other tasks and CreationsRewards will give you points. You can redeem your points for cash via PayPal or gift cards for places like Amazon and Walmart. Also, the site gives you a $3 bonus when you sign up! InstaGC gives you points when you complete surveys, search the web, watch videos, and shop online. Then, you can redeem your points for gift cards for places like Google Play, Forever 21, Amazon, American Airlines and Walmart – so you earn yourself some free cash to spend. EarnHoney gives you points when you take surveys, shop and play games. Redeem your points for gift cards for Amazon and Target. Try apps, take surveys, complete offers and watch ads and Gift Hunter Club will give you cash via PayPal. Gift cards to places like Amazon, iTunes and Xbox Live store are also available. When you try apps, answer trivia questions and play games, Perk gives you points. You can redeem them for gift cards for places like Starbucks, Amazon, Gap, and Target. Earn cash via PayPal with QuickRewards.net. Just do simple tasks, like taking surveys and playing games and QuickRewards.net will pay you. You can also get gift cards for more than 50 different brands. Get cash via PayPal at MyPoints when you shop online, watch videos, read emails and more. Aside from cash, you can also get gift cards for more than 70 different brands. With Earnably, you can earn cash through PayPal or Bitcoin when you install apps and sign up for services. You can also get Amazon Gift Cards. When you complete offers and participate in surveys, SuperPay will give you cash via PayPal, Payza, Skrill or Bitcoin. You can also get gift cards for Amazon. Watch videos, take surveys and complete other simple tasks, and Irazoo will give you gift cards for places like Amazon. Loot Palace gives you gift cards for places including Amazon, CVS, Sephora and Verizon Wireless. Just complete surveys, try products and services, watch videos and play games to earn them. Grindabuck gives you gift cards when you complete offers, view ads and watch videos. Gift cards for Amazon and Walmart are available. FreebiePoints is a website that gives you gift cards for a huge range of retailers. Just complete offers and take surveys. Coins Rewarder gives you points when you participate in surveys, try free apps and watch videos. Points can be redeemed for Google Play, iTunes, and Amazon gift cards. Earn points when you take surveys watch videos, browse the internet and play games at Gifthulk. Points can be redeemed for Walmart, Steam and Amazon gift cards. 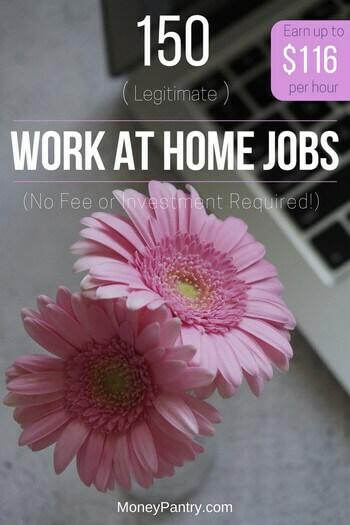 As you can see, there are literally dozens of legitimate no fee work at home jobs that are hiring right now. Whether you’re looking for a work from home job for moms, hold a degree and want to go into teaching, or have no qualifications and aspire to be a writer, there are opportunities available to people from all backgrounds. If you’ve been considering working from home and have been looking for opportunities, hopefully, this post should give you a great place to start. Whether it’s data entry or customer support, give one of these opportunities a try. You could earn yourself some extra cash to put into your savings, or even make a full-time income working from home. awesome details you shared dude.thanks i became your fan of this website. I am glad you liked it, Akshay. Thanks for the kind words, Edison. I am glad you like the site. I loved this page?thank you very much! You are welcome, Lexy. I am happy you find it helpful. Have you given any of these options a try yet? Not all of them, but yes, I used to work with a few including Demand Studios. And yes I did make money with them. As far as I’m concern you did a great you on helping to get on the right track for working at home.Very good information and thank you. You’re welcome, Helena. Let me know how it goes. To be honest, most envelope stuffing work at home jobs are scams (at least the ones that I came across.) That’s why there is none on this list. Have you had any experience working for a legitimate company that offers envelope stuffing jobs from home? Either way, I hop[e you find a good full time work at home job that you enjoy and pays well. Please do keep me posted. There are tons of online Tudor jobs! Hi, i need company who pays through money remittance/ money transfer. I dont have paypal, can you help me? Thanks, you’ve helped me and others to get an idea of what to look for. And to stay away from the cons. I agree thanks for gathering and sharing this. Thanks, Robert. I am glad you like it. Suhel, if you go through this list, there are many that do hire people from India. Now, I am not sure which ones pay per hour. I am sure you could find that out by simply contacting them. Good luck. Suhel, these are all legit companies offering proper jobs. I am sorry you weren’t able to find one that meets your standards. I’ll update the list if I find any other company. Great list. OpenEnglish link goes to a page in Spanish. Is there an English site or must you know how to speak Spanish to apply? Sorry, I accidentally linked it to the Spanish version. I fixed the link now and it should go to the English version. Thanks so much for the heads up, Toni. I would take swagbucks off this list. That site is a total waste of time. Otherwise, this list looks very solid— thank you! I will be looking in to some of these for sure. And you are correct, it’s not for everyone. For some people it might be worth it, for some it might not. And the same can be said about almost any site on this list. No one site or method is going to work for ever single person, which is why I made this list to (hopefully) give everyone reading it a few good options. Yes I agree, I tried swagbucks a few months ago, i had the same issues. A great list though, I’m thinking ill go for demand studios and OpenEnglish. Demand Studios and Open English are both great companies to work with. I wish you the best. TeleWork looks very promising, I’ll have to explore this later. Thanks for the great website, by the way. Your resources are well thought out. Incredible! Are there some of theses companies that I could work for from home living in Dominican Republic? You will have to check with each company. this is very helpful to me. I have 23 sites i will check out. Thanks alot! I am glad you find the list useful, Sharmaine. Good luck. I have been deaf my whole life as I am getting older I am having more difficult time hearing. I have been searching to do something legit at home. Any advice on home jobs or home careers for the deaf. I tried searching online but just keep getting garbage. Any thoughts? Ron, have you tried any of the companies that hire writers, transcribers, etc? You could also try online jobs that have to do with rating and testing websites, applications, etc. Leapforce is big company that does offer such jobs. They actually are a contractor for Google. I don’t know about your skills and expertise, but freelancing is also an option. You can use sites like Freelancer, Odesk, Guru and so on. I just want to say , thank you so much for this information. I have been looking for legit work at home jobs. I got burned more times than I want to admit.. Scams. I used to be in hotel mgmt 20 years, I have done call center jobs inbound only. You are very welcome, Robert. It makes me happy to know that the articles I post here help people. Hopefully you’ll find a job or two out of this list. Let me know of your progress. Good luck. I am from India and willing to do offline data entry job from home without invest and target and who pay per page also wish to do online job like add post, e-mail sending, form filling who honest in payment also without any invest. Hope you can guide me. Hi im over 50 and looking for work at home i have limited experience in customer service and office work im am computer savvy and have very good English communication skills i have been searching for a long time for something that wont take any more of my money im looking for something in the US please help!!! Sandy, you can try any of the companies listed here. None of them require any payment. Legitimate companies don’t ask you to pay them to work for them. Good question. These sites are mainly geared towards the U.S., U.K., Canada and Australia. That said, you have to check with each site/company individually to find out if they do indeed hire people from Australia. You can get that info, normally, by looking at their FAQ page. Thanx love! I am a single mom and just moved 2 Detroit and i have 25 of the 40 that i would like to try so cross your fingers and toes 4 me! I need money BADLY! I need a place, now i need a car after a wrwck a few weeks ago and im just looking 4 anway to help myself along whole looking foR steady employment! Thanx a bunch!!! Sorry about your difficulties. Yeah, give some of these companies a try. I am sure you will be able to get something going. Good luck. Good to see this big useful list. I happened to check a few websites for available opportunities. ArRecovery .com is parked domain. May be this company is out of business. Thanks for taking time to comment, Prachi. I am glad you enjoyed the list. And thanks very much for the heads up about Arrecovery. Yes, it seems like they have either changed their website or have gone out of business. I’ll update the post. Awesome website. I have looked at several other sites on a regular basis for quite a while, and I have just recently come across your site. I love it. You have a ton of information for everyone. I will definitely spread the word. Keep up the good work, you are greatly appreciated…. Thank you so much for making my day, Donna. That is awesome! Thanks for the heads up, Ashley. I think it’s because they have enough raters for now. They seem to update the page whenever they start hiring raters again. Sam, check out my reply to a few other comments above where I link to international wok at home jobs. Im a little confused by telework.gov. It sounds like they just train you on how to work from home but then you still need to become a fed employee and then convince your manager that the job can be done from home??? Am I understanding correctly? Andrea, they have changed since I first came across them. It seems like now it only caters to federal employees helping them get teleworking jobs or convert their existing work into telework. Mr satrap, pls which of this companies, will employ people to work from home in Africa, Nigeria precisely? Please check out my reply above where I linked to another post with a list of international work at home jobs. You are very welcome, Emmanuel. Hi satrap,iam an English coach for over 20years.which site would be best for me? It really depends on how much time and efforts you want to put into it. Osita, please see my reply to a few other comments where I linked to our list of international work at home jobs. Does OpenEnglish require any kind of certificates or experience to teach? What’s required to work for open english as a teacher? And thank you for putting your time into making this list! Mickey, I am not sure but from what I gather (reading their site) it seems like you do have to have some kind of certificate so they can verify your claim. Ok, I have been scanning the Internet for months, and have not found a list as complete as this one! So many ideas that I have not heard or thought of! Thank you so much! I am glad it’s been helpful. Thanks for the kind words, Meghan. Any personal experience with the two sites you mentioned? Do smartpanel and savvyconnect extend their service to Nigeria? Thanks for sharing your experience Tiani. I am glad you enjoyed the list. And yes, take a look around on MoneyPantry and I am sure you’ll find tons of legit work at home opportunities. Christina, I am very sorry to hear about the difficulties you’re having. Have you tried the companies mentioned here? The first few are specially related to call center jobs. Click and Work seems a little outdated considering they were last updated in 2011 and I would be leery of this site based on that fact alone. Sorry! I don’t know of any legitimate home assembly positions. The few I came across were scams. Bobbi, yes there are. Some of the sites mentioned in this post don’t really require much of a secretarial skills, like Google Ads Quality Rater and Textbroker. Of course, you can also try sites like Swagbucks. You won’t make a living but it’s extra money. It seems like a total scam. Stay away from it. As a stay at home mom I recommend “Medical Coding” as a wonderful work from home option. Yes, you will need training. You can’t just code medical records without having proper training. However, this is a real and promising career. I used to work for “Career Step” and they have an awesome Medical Coding course. The average salary for this career is about $40,000. Their entire program including books, instructors and job assistance is around $3,000 and they offer sweet payment plans. Hello, Capital Typing is not a company that hires to work from home. They are a company that sells to other companies, programs on how to do this service. Companies that are wanting to have people work for they, but work remotely, this is the company they go to, to learn how to do this. Capital Typing is not a work from home company. Just thought I would let you know. I am so interested in many types of jobs. Please I need to get Started right away. Hi. I do not have work permit in U S. can I register in any of these companies and work from? I don’t want to break the law and want to earn some dollars. These companies usually accept workers from the U.S. and Canada. You may want to check out our list of international work at home jobs. Thanks so much for your list! I am can’t wait to apply for some of these and start working from home! Thank-you again! You are very welcome, Kim. Good luck. Keep us posted on the your progress and success in working from home. My husbnds joh requires us to travel a lot. Does any of these sites accommodate for that kind of situation? Missy, with most of these companies, you work remotely form home or wherever you are. As long as you have a phone and internet connection you should be good to go. I just read through all of these posts. Wow I can’t believe how many people asked the same question, and how many typos there are. Well with that said my question is I have a computer but it’s not working right now. Could I do any of these work at home jobs on my tablet until I can get my computer fixed? Yeah, unfortunately, a lot of people don’t read the actual article where the questions are usually answered. As for typos, I apologize. We do our best to minimize them, but we do make mistakes. As for your question, yes, you can work on any device that is connected to the internet. You don’t necessarily have to have a PC. You can use a laptop, tablet, even your phone if you are comfortable with it. What’s with all the back slashes when I type can’t and it’s? I don’t think it’s an issue caused by our site. It’s probably something on your keyboard. Either you accidentally hit the backslash button (since it’s just below the “‘”) or perhaps the two buttons are stuck together. I just want to tell you that virtual vocations is free to sign up on, but they only give you partial access. If you want full access and to apply for any jobs you have to pay by the month, every 3 months of every 6 months. Sounded awesome till I got to the payment part…. Thanks for letting us know, Janice. hi :( why you not reply me>? What is your comment/question, Hania? A fabulous job done here. Keep up the good work! This site was exactly what I needed to get started. Its so hard to find legitimate work sites but this one is just what I needed.I look forward to getting started. I am glad MoneyPantry is a good source of information for you, Michelle. Good luck. I would to find a work from home job that I don’t have to pay for. I am not going to pay for a job. Albert, none of these sites we mentioned make you pay for anything. They are all free. I have a full time job, and i am still looking for a part time work at home job. Do you know any legit encoding jobs? Thank you. Check this out, Cheaz: 20 Legitimate Data Entry Work from Home Jobs with No Startup Fee. Hi im working full time in UAE and i am looking for extra income. Is there any online data entry job for me. Here you go, Lea: 20 Legitimate Data Entry Work from Home Jobs. Great article, thanks for sharing. Allow me to add that online writing jobs had become quite a favorite among writers in recent months. There are many options to explore, and legitimate sites that actually pay writers top dollar for interesting and useful content in any Niche. Every time I click on virtual bee link it comes up as a dangerous site to continue in through my security saying “Not” to continue to the site….. Do You think this is just due to my mobile phone security or should I just forget this site? Do you or do you know any one that had actually went through this company for work And if it was safe? Stacey, Apparently Virtual Bee is now known as Smart Crowd, and the URL has changed. I’ve updated the post with the correct link. Thanks for pointing this out!! You should be good to go. Swapna, I’m glad you’re finding the site useful in your quest to work from home! Great site! Could you please recommend me to some writing sites I am a beginner. I enjoy poetry, articles and would like to write about non fiction topics such as family, music and entertainment. I am freelance writing for a greeting card company and have applied to magazine companies and one rejected me. Thank you for your help. Natasha, Thanks so much for the kind words. We have several articles on ways to make money writing, you can use our search tool on the home page to find articles that pertain to your interests. Thanks! Hi Stacy! Thanks for the comment. We didn’t include Ohmconnect on this list because while you can make money with them, it is not really a job. We actually have an entire post about their program. You can find it here: https://moneypantry.com/get-paid-save-energy/ Thanks for reading! Thank you very much for putting our website on your list (FreebiePoints). We have had some ups and downs over the past several years, but we work hard to keep it afloat and have stayed online all these years while many of our competitors have come and gone. It’s very easy for anyone to earn a GC from us, including non-USA residents, as we also give points for simple tasks, like signing up to other websites, liking posts, watching YouTube videos and more. Thanks again and keep rocking your awesome blog!! !